How are You? I hope everything is going really well with you. Can you believe it – it’s nearly the end of the year & Spa it Girl Day too. Spa it Girl Day is held on the 24th of November every single year and it’s our Global – Spa, Self Love, Self Care Community & Movement Celebration. It’s the one day of the year that no matter what – we take time out for your own self instead of worrying about everyone else – which we can all fall into the trap of. You can Join Me in Celebrating Spa it Girl Day (24th of November) by visiting the Spa, Salon, Practicing Yoga, Meditating, Popping on a Face Mask, Going for a Walk, Exercising, Journaling, Heading to the Beach, Spending Time in Mother Nature, Reading a Feel Good Book, Drinking Fresh Juices basically by doing anything that makes you feel good from within and that helps you to fill your own cup back up. I also invite you to share your own self care rituals with our community and the rest of the world too. I truly believe that when we share our own self care rituals we can inspire others to consider making self care away of life too – so they can work on feeling good from within. This week we HIT the 7,000K Mark of #Spaitgirl Community Inspiration – I was so excited and naturally wanted to share this news with you too and also a very big thank you too. 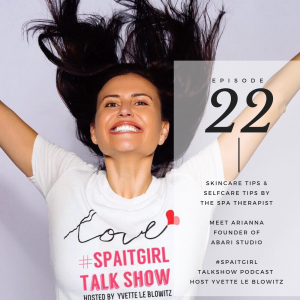 I seriously have loved seeing the Spa it Girl Community Movement – Grow and Grow! I am beyond grateful for your support and I think it’s important more than ever because we are now living in very visual times when it comes to social media – media has changed so many over the last couple of years. But by continuing to spread the message of Self Love and Self Care I think collectively we can spread the message it’s not about the way we look – but how we feel from within. That feeling doesn’t have a body, shape or size and you can’t point to the feeling even on an instagram photo – it can only be felt individually by each and everyone of us – there is no comparison. I truly believe by using the #spaitgirl hashtag – it sends out this really positive reminder to all of us and everyone in the World that all we need to do is focus on feeling good from within and we can achieve that by practicing our own self care rituals which don’t always have to the cost earth. I love seeing all of the inspirational posts that are being shared and I have learnt so much from each and everyone of you who are using the the #spaitgirl hashtag also. Thank You again for not only inspiring myself and the rest of our #Spaitgirl Community but also your own family, friends and community. I am beyond grateful to connect with you daily and to be surrounded by so many like minded girls and women who truly believe that we are more than our body, shape or size and it’s not about how we look but how we actually feel from within that truly matters. I can’t wait to Celebrate Spa it Girl Day with you live on my Instagram Page @Spaitgirl from the Maldives this year. I will be spending Spa it Girl Day with our Spa it Girl London Contributor @LilaValentine and a very special Spa Team in the Maldives too. I will also be meeting one of my biggest fan’s & followers from the Maldives who has been following me for years and I am super excited to be meeting her as she has been following me for years now. I do hope also one day I get to meet you in person and in real life also! I can’t wait to share Spa it Girl Day with you on the 24th of November and many years to come.